Health and Wellness is important to us. We are fortunate to have regular access to wellness through quiet streets for walking, a rink, basketball courts, green spaces and fields. We also have a number of initiatives in the community: Read on! Nadine, resident and urban poling instructor, gave poling demos at the 2019 Winter Carnival. We're adding poling as an option as part of our regular Wednesday walks. 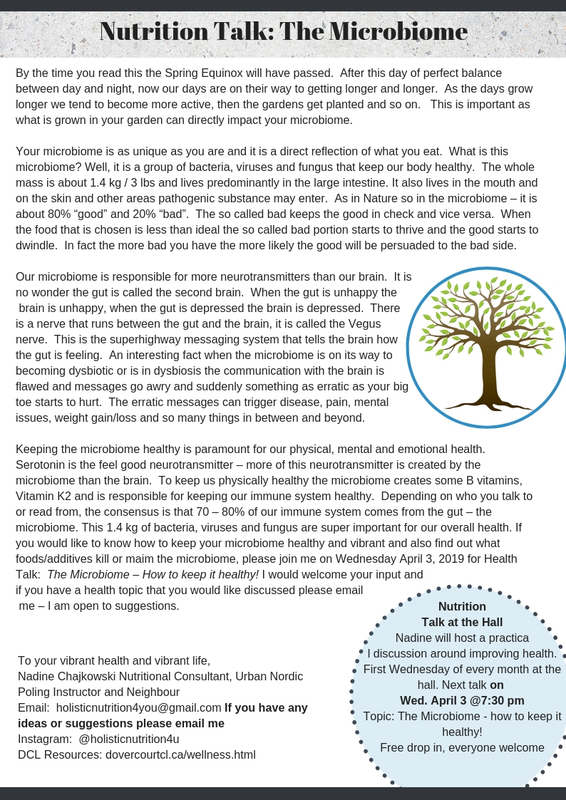 We have a monthly article in our community newsletter on various aspects of Health and Wellness, as well as monthly talks at the community Hall. Read the highlights of the talks and the articles here.